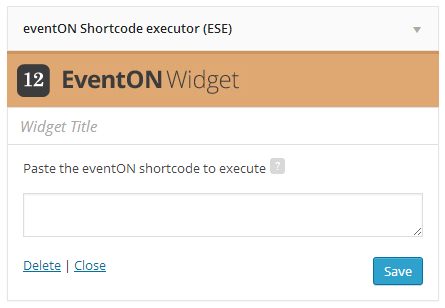 EventON comes with basic widgets with several options that you can choose for calendar preferences, however there are times you want to add more options and variations to eventON widget and that is when the eventon shortcode executor(ESE) comes into play! As you can see in the widget you can place whatever shortcode and that will work to show a regular eventON widget with all the additional options that are not present in basic widget. How to find the shortcode to paste? If you go to Pages > Add New from left side menu above the WYSIWYG editor you should find our  Add Eventon button that will open lightbox shortcode generator use this to generate the shortcode you desire with all the variations.